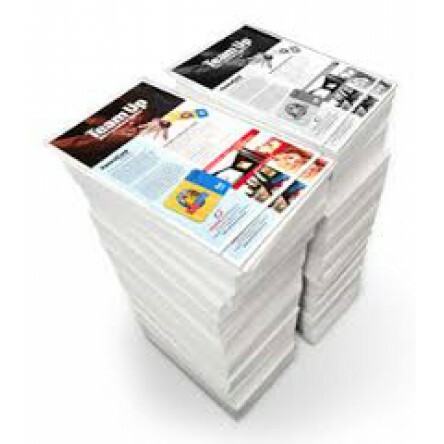 Copies are printed full color on 20# white laser paper, 8.5"x11" , 8.5" x 14" or 11" x 17"
[LETTER * LEGAL * TABLOID]. Single or double sided. More than one page needed for duplex and/or stapling. Printed from your file uploaded as part of the ordering process. This File should have only one page. if your original has more than one page CLICK HERE to choose the right product. If you miscalculate your page count, we will make de adjustment and notify it to you. But we place the order ON HOLD until you aknowledge the adjustment.